Rock Candy 100 Gram Bag is a delicious treat that can be made all the more special with your name on the inside. 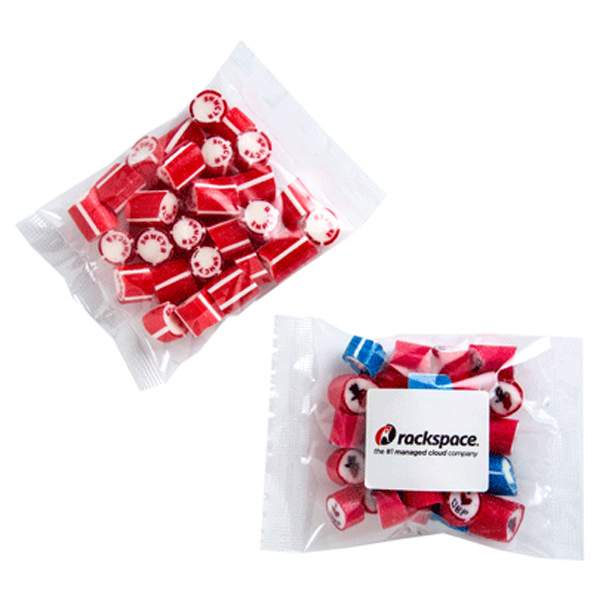 Rock your client’s world with this 100 gram bag of rock candy (hand made). The Rock Candy 100 Gram Bag comes in a range of eight great flavours of rock candy that will prove to be an ideal give away for any event. Each bag contains around 50 pieces of hand made rock candy.